Mitsubishi ASX drive test. Fighter jet! Mitsubishi ASX is a bold move from the Japanese manufacturer in the crossover segment, and after Outlander’s success, it’s presence on this segment was mandatory, especially in the face of such as Nissan Qashqai and co.
We’ve tested the European version fitted with the 1.6 litre 115 PS gas engine, and were surprised by this little SUV destined to be liked by youngsters and small families. The three main points to like? Exterior design, handling and modularity. The three main points not to like? Plastic quality, smallish engine and extremely annoying beeps coming from the car when you start the engine without having put your safety belt in advance. Design 8/10: it really looks like a fighter jet on steroids. Its frontal part seems to be taken directly from the superb Lancer and is so mean that other cars in the fast lane are in a hurry to make way for you. For those looking for the most striking car in the segment: here it is! It’s a pity that the interior doesn’t catch on the exterior and is the usual somber ‘look at me I’m soo serious’ black on black that we usually get from Mitsubishi. Quality 7/10: the interior materials on the Invite level are hard plastics on the doors combined with somehow softer plastics over the dashboard, durable textiles on the chairs and high-quality plastics on the door handles and central console. If you manage to get the Intense or Instyle packages the leather provided is of good quality but the overall feeling of sturdiness remains. It’s a well-assembled car, but without any refinement. Space 10/10: It’s a compact car, measuring only 4.29 meters long, 1.77 meters wide and 1.63 meters high. Therefore it’s strikingly spacious for a car that will not take more space than a city hatch in the parking lot! Compared with what you get in the compact hatchback segment, it’s huge. Compared with the competition in the compact SUVs it’s average. You have enough room for 4 adults, the fifth will be uncomfortable. Space for the driver and forward passenger is OK, while in the rear the adults have to be smaller than 1.85m to be really comfortable. For its class, is very good. Storing space 10/10: Not only that you have storing spaces for 0.5 to 1.5 liter bottles in the doors and glove box, but you also have plenty of space for a photo camera in the central armrest, for two soda cans between the front seats and even for your mobile phone just below the center console. Plenty of storage spaces in the back also, with 416 liters in standard in the luggage compartment, but this is easily expandable to much more with the modular storing spaces below the carpet there. Engine 7/10: The small 1.6 115PS engine doesn’t look too well fit for the 1.3 ton car, but in reality its very pleasant in everything it does: the 0-100km/h takes 11.4 seconds, but if you rev it (and you can rev it up to 6300 rpm!) you’ll get a kind of sporty feeling that is quite unexpected. Of course, you will have to go into third every time you want to overtake on the highway, just to have enough oomph to do it rapidly. On the other hand, it’s so silent and elastic, you’ll be completely satisfied if you don’t care about dynamics so much. Try the excellent 1.8 DID 150PS in order to reach the 10 seconds threshold for 0-100km/h. Handling 8/10: Mitsubishi ASX is amongst the best compact SUVs on the market, and this shows: you can handle this car like you would do with your usual hatch, but with a caveat: you will have to adjust to its height, and the lateral visibility will not help either. Steering is precise and rather on the soft side, but the car is agile enough to remain on track in the corners, even if you stomp on the acceleration pedal. Of course, the front starts to lose adherence if you overdo it, so be cautious, this is no sports car, OK? Comfort and technology 9/10: The ride is smooth, you don’t hear the outside noise even at high speeds, and bumpy roads will be silently handled by the ASX without any problems. At the steering wheel, as well as in the back, it’s amazing how smooth this car is! In the Invite package you get a Start and Stop system that functions rather smoothly, an audio system that is above average even at this equipment level, an onboard computer that shows you everything you need, automatic air conditioning, cruise control and USB connectivity, amongst other nice standard features like parking sensors, rain and light sensors and refrigerated glove box. Safety systems are also at top levels. Off road 6/10: The 2WD ASX car we tested is rather hopeless off road, because it lacks pretty everything to be apt in this regard, apart the 195mm ground clearance and the good suspensions that absorb much of the potholes from country roads. We didn’t tested the 4WD version, but if the attack angle looks OK, the lack of proper equipment will instead keep you confined to the most accessible of the country roads, and out of serious offroading. For picnics, however, it will take you in 99% of the places where you’d want to eat a barbeque. And that’s the point! Safety 8/10: Mitsubishi doesn’t have a good history regarding safety, with none of its current cars having 5 stars at EuroNCAP ratings. Judging from the safety equipment onboard though, which include an annoying beeping system that doesn’t lets you not wear the safety belt, but also advanced ASC and TCL systems (stability control, ESP and traction control), as well as ABS with Brake Assist and EBS (Electronic Brake Distribution), as well as 8 airbags, we can conclude that we have a safe car even before knowing the results of EuroNCAP testings. 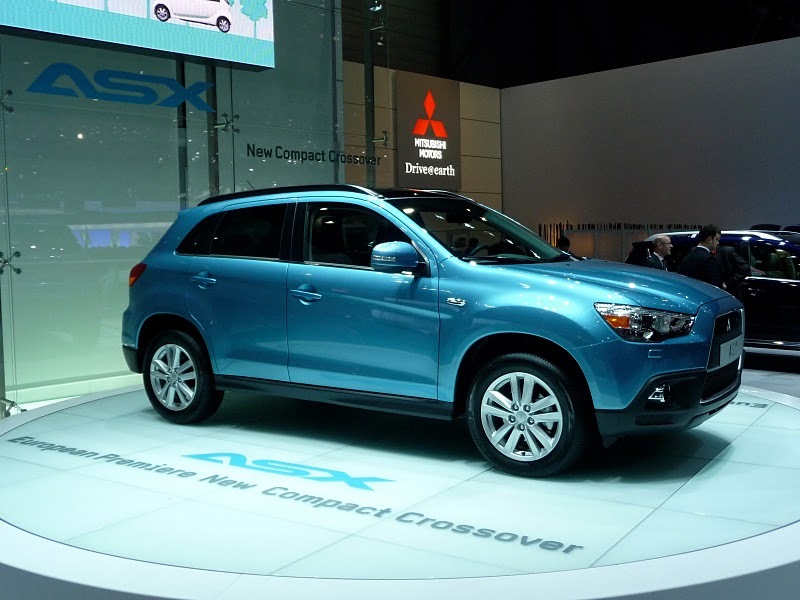 Price and cost of ownership 8/10: Mitsubishi ASX 1.6 Invite costs slightly more than its main competitor, the Nissan Qashqai – around 1.000 euro difference in price. However, it’s better equipped, so in this regard ASX is not more expensive than the other offerings, with a tag price of 19.300 Euro in Romania, £15,164 in UK or 20.990 Euro in Germany. In France and other markets, only Diesel versions are offered, starting at 23.950 Euros for an 1.8 Invite 2WD. Also, we’re talking about Mitsubishi, which has rather small ownership costs across Europe and retains much of its value over time. Fuel consumption is not as good, the AS&G engine taking 7.2% in average in our 200km test that included extensive city drives (9.5-10% in city). TOTAL 81/100. 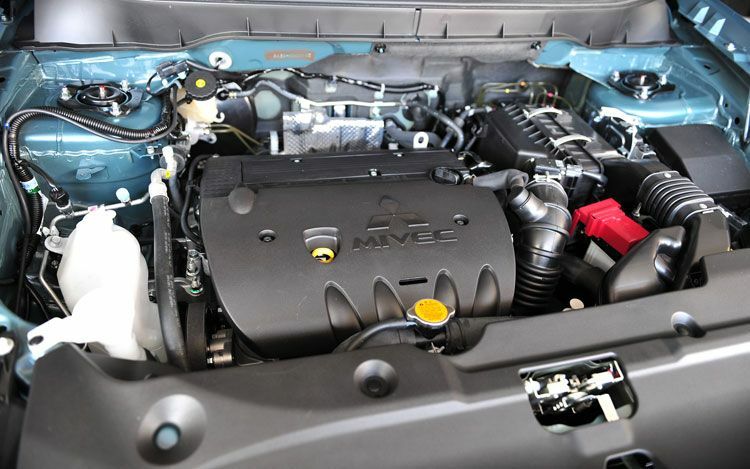 BOTTOM LINE: Mitsubishi ASX is a very strong offering, managing to make 81 points even in the Invite equipment level, which is close to entry level. Agile, good looking and offering a smooth ride with a spacious interior, ASX lacks off road capabilities and doesn’t excels in fuel consumption, but overall offers a very nice ride on road and excels in practical features. In its 1.6 variant, it’s not recommended for sportive minds, those looking for a small beast of burden or big families. Recommended however for small families and active adults that want a strikingly good looking car with a complete package even from starters levels.